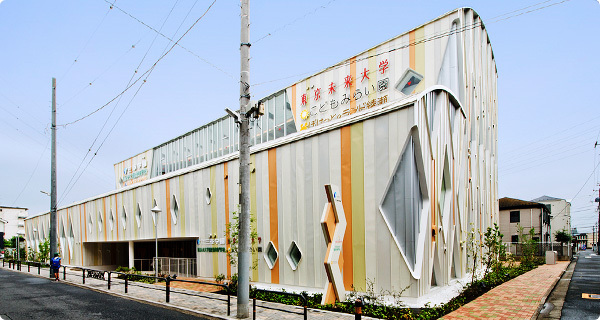 Tokyo Future University Welfare and childcare College has two departments: Child Care and Care worker. 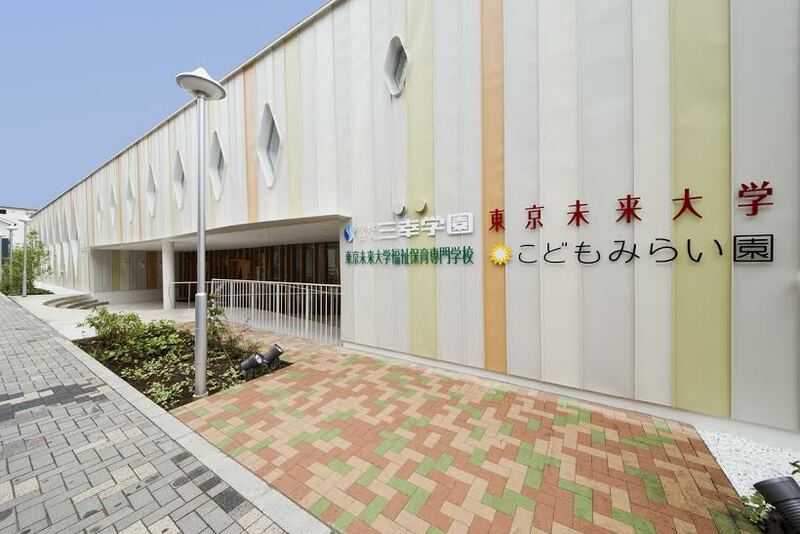 It is an educational institution with state-of-the-art facilities in the Tokyo metropolitan area. Two of childcare facilities are featured within the campus. Because the school belongs to the Sanko Gakuen group, there are a lot of opportunities in field training and employment within the group. Ayase is located in the northern part of Tokyo, which features cheap cost of life compared with other areas of Tokyo. Its atmosphere has a nostalgic air; it provides a city life with a feeling of common people life. Chiyoda Line and JR Joban Line, which connect from the center of Tokyo to Tohoku region, run through Ayase station. It has also become a base for bus traffic so the traffic situation is extremely convenient. There is an Ayase river and many parks around the center of the town; it has become a nice area of water and green for common people to rest and relax. The Care worker Program is divided into four specialized courses so it is possible for students to become care workers with specific skills and expertise. As a matter of course, the General Welfare program doesn’t only foster professional skills of nursing care, but it also pursues the way to care and to know further about the life of the elderly in modern society. Also, it consists in learning facility management, and develop human resources to become a leader in the care worker field. In the Psychological Welfare program, students are supposed to know the “heart” of human beings through psychology, and develop the ability to understand other people’s opinions and feelings. In the Sports Recreation program, students will learn various drills (gymnastics and games) to improve their patients’ well-being. Thanks to the Beauty Welfare program, students will learn the knowledge and skills that enable them to optimally manage the facility environment and make their patients’ lives more comfortable. That includes Admission fee, Tuition fee, Facilities and Equipment fees.
. Between ¥250,000 and ¥260,000 for the care worker program. Please inquire for a more detailed breakdown of costs. -A score of 200 or higher on the Examination for Japanese University Admission for International Students (EJU exam). -A score of 400 or higher on BJT business Japanese proficiency Test. -Education of more than one year in elementary school, or junior high school, or high school in Japan.